Free Golf for you and your guest. Welcome home is the feeling you will feel when you walk into this unique home with special details. 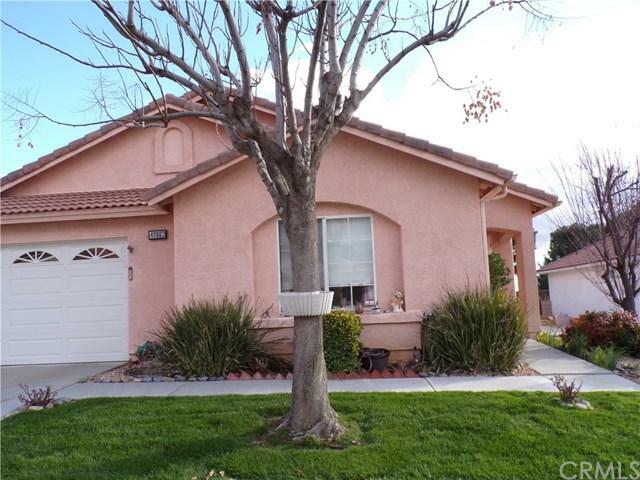 Desirable senior 55+ gated community in Cherry Valley. Views, views and more views. Mountains from the front windows and mountains from the rear. Plus the serene open field with wild flowers and view of horses . Tile entry with Jack and Jill bath , shower over tub, dual sinks and entrance to the front bedroom. Middle bedroom has hardwood flooring, built in cabinets, current Free Golf for you and your guest. Welcome home is the feeling you will feel when you walk into this unique home with special details. 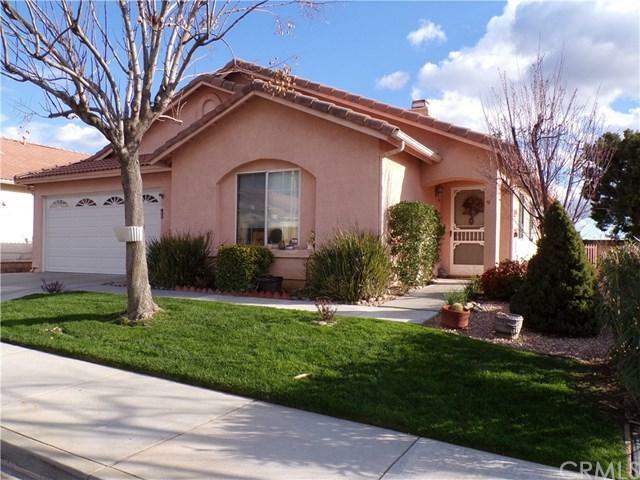 Desirable senior 55+ gated community in Cherry Valley. Views, views and more views. Mountains from the front windows and mountains from the rear. Plus the serene open field with wild flowers and view of horses . Tile entry with Jack and Jill bath , shower over tub, dual sinks and entrance to the front bedroom. 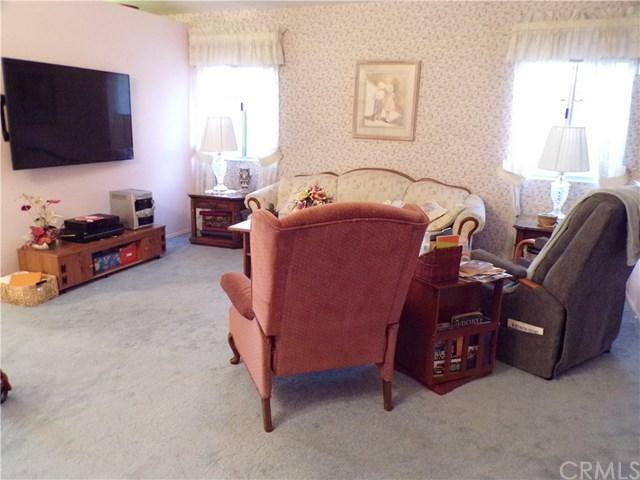 Middle bedroom has hardwood flooring, built in cabinets, currently is being used as an office. The master bedroom has a private bath with a walk-in jacuzzi jetted tub. Has Porcelain tile flooring and dual sinks. Kitchen has Alder wood cabinets, Island with a breakfast counter. 5 burner gas stove. disposal, Dishwasher and flooring all replaced within approximate last 5 years. Sliding glass door to the back yard from kitchen. 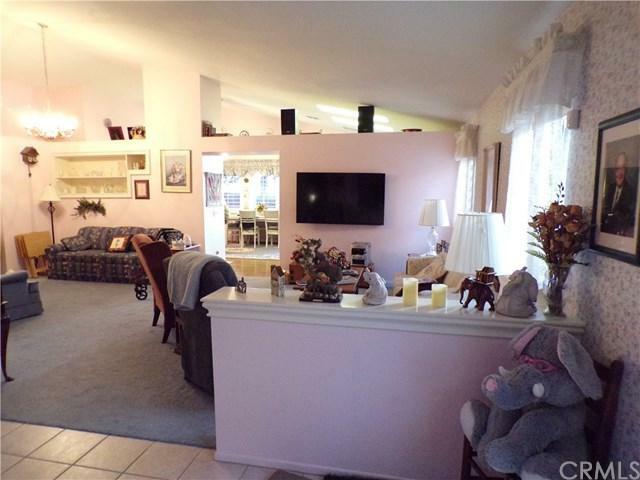 Combo family room has hardwood flooring, wood burning fire place with a gas pilot starter. Two car garage has built in cabinets, dual sinks and counter top formerly from kitchen. Pull down stairs for the full attic access. This the the home to call home, additional information is that this was the last home sold when the homes were brand new in the gated community. Amenities, 9 hole golf course, club house, card room, billiards, library, swimming pool/spa, tennis/pickleball courts and exercise room. Must see to appreciate. Call today for your personal tour. Listing provided courtesy of Bhhs Perrie Mundy Realty Group. Listing information © 2019 San Diego MLS, Inc.